NEW YORK, July 30 (Reuters) – A federal judge rejected JPMorgan Chase & Co’s bid to dismiss a lawsuit accusing it of misleading thousands of cash-strapped homeowners nationwide about modifying their mortgages. U.S. District Judge Richard Stearns in Boston on Friday let homeowners pursue claims that the largest U.S. bank systematically failed to keep its end of the bargain after signing up borrowers hoping to modify their mortgages under the federal Home Affordable Modification Program, or HAMP. Stearns also let stand claims that Morgan’s Chase unit drove homeowners deeper into debt by prolonging the modification process through “gross ineptitude,” sometimes adding fees to loans already in default and starting foreclosures while modifications were being negotiated. On December 7, 2015 we finally received a copy of the Modification Agreement that a JPMORGAN CHASE Employee told us was sent out on November 6, 2015. Shipped via FED-EX for immediate delivery and when it did finally get delivered after we had made several phone calls to JPMORGAN CHASE Employee’s requesting the documents we were informed by a JPMORGAN CHASE Employee that they had been shipped. On the third call in the middle of November I finally spoke with a JPMORGAN CHASE Employee who agreed to resend the documents since we had not received them. The documents were resent on December 3rd. When the documents arrived they were left on the windshield of a parked car in our driveway during a rainstorm. When we noticed the package on the car it was saturated with rainwater because the plastic bag it was in was not tied shut to keep the water out. This is the quality of service we have come to expect when dealing with your company. Since this request is supposed to be seen by the highest level of management, information provided by your JPMORGAN CHASE Employee Rosa Juarez, we felt it is our responsibility to tell you about some of the experiences we have had in dealing with your JPMORGAN CHASE Employees over the past few years as we have done business with your company. In 2008 – 2009 we had some financial difficulties and needed to modify our first and second mortgage’s with JPMORGAN CHASE. After we submitted all the documentation your JPMORGAN CHASE Employee’s required, we were granted a modification similar to the current Modification Agreement on the loan referenced above. All the requirements on the First Mortgage were met and everyone was happy. It’s when we tried to resolve the Second Mortgage when things began to spiral out of control. We made the first month’s payment with a Cashier’s Check in the required amount to a JPMORGAN CHASE Employee per the agreement. We also made the next two months’ payments as required. Then we received a letter from a JPMORGAN CHASE Employee that stated we had not made the first month’s payment and we were eventually refunded the second and third months’ payments and informed we would have to start over. We made several phone calls to your JPMORGAN CHASE Employee’s asking where our payment had gone since we had the proof of payment with the receipts that were issued by a JPMORGAN CHASE Employee. After several months of intensive investigation by JPMORGAN CHASE Employee’s someone discovered that our payment using a Bank Cashier’s Check to a JPMORGAN CHASE Employee was applied to the wrong account by a JPMORGAN CHASE Employee and of course corrected by a JPMORGAN CHASE Employee. We did appreciate that, however; your JPMORGAN CHASE Employee’s then began the task of taking us through the process of reapplying for another modification since the one we had already applied for and been approved for, was expired due to your JPMORGAN CHASE Employee’s error in applying the payment to the proper account causing the chain of events that followed. This was around September of 2009. Since that time we spent roughly the next five years that’s 60 months or 1,825 days of filling out paperwork and driving the 60 mile round trip to a JPMORGAN CHASE branch office to fax whatever documents were required on that particular day. The issue we had with that was each time we would send documents the next day we would receive a phone call from a JPMORGAN CHASE Employee telling us that JPMORGAN CHASE had not received the documents that had been sent by a JPMORGAN CHASE Employee to another JPMORGAN CHASE Employee and a transmittal receipt given to us saying that these documents had been received by the JPMORGAN CHASE Employee’s fax machine. So naturally we would explain that to your JPMORGAN CHASE Employee when they called but they insisted each time that nope never made into the file and therefore we were going to have to send it again. Now we would be understanding if this only happened once or twice but your JPMORGAN CHASE Employees have really made you proud. They continued to lose documents on a regular basis for the next five years. That’s right folks 60 months. During this time, we had appealed to a number of agencies to assist us in getting any JPMORGAN CHASE Employee to get our loan modification re-instated since we had not caused the problem but rather a JPMORGAN CHASE Employee had. Now first of all the property here at 3942F Gardenspot Rd is held in a Living Trust which is a legal document that gives R. Thomas Blake or Mary Lou Blake the right to sign any legal and binding contract or agreement on behalf of each other when only one of us is present and only one signature is needed to make a legal document binding and proof of that was provided to a JPMORGAN CHASE Employee. Secondly, how does a JPMORGAN CHASE Employee justify denying the Loan Modification is yet to be explained. Guess what, we were told by yet another JPMORGAN CHASE Employee that we would have to start over with the paperwork and go through the process one more time. We have filled out your online forms so many times the computer auto fills the information that never changes and the rest of it we have memorized. It seems we spend more time working on correspondence and phone time, much of which is being on hold, with JPMORGAN CHASE Employee’s than with our own responsibilities. Most people would have a file or two for their Loan documents we have a two drawer file cabinet for JPMORGAN CHASE Correspondence. Seems like we are being punished for a mistake we didn’t make. All this time our agreement with JPMORGAN CHASE on our first Mortgage is kept up to date. If we had violated the terms of the first Loan Modification Agreement, that might have caused JPMORGAN CHASE to hesitate trusting us on a second Agreement. However, we did not default on the contract between JPMORGAN CHASE and Blake Living Trust and were approved for a 1% Loan Modification. Nothing changed on the exchange of documents on this round of qualifying. We used a third party advocate in the form of assistance from SNAP. Of course we had to keep updating a document from a JPMORGAN CHASE Employee to make sure we wanted the help of a third party. Finally, another round of mediation was scheduled since the first round didn’t resolve a thing. This time we again included our third party advocate and even though we were not allowed to explain the years of frustration and abuse we have endured through our relationship with your JPMORGAN CHASE Employee’s we were able to get the opportunity to pay off the “unpaid and deferred interest, fees, advances and other costs, but excluding unpaid late charges, collectively, ‘Unpaid Amounts’.” Or we could surrender the property to a JPMORGAN CHASE Employee and then a JPMORGAN CHASE Employee could liquidate our dream home to pay off this relatively small amount given the actual value of the property. The perfect way to say you’re sorry for all the problems your JPMORGAN CHASE Employees have caused us. Our credit score has suffered significantly since this problem began. Oh Yeah there was a third option when we asked, we could apply for yet another chance at a Loan Modification agreement. Now the moderator of the mediation panel specifically told the attorney for JPMORGAN CHASE to use the current documentation on our financial information when she asked for an update. So what did your JPMORGAN CHASE Employee’s do but send us requests for updated financial information. We were at a standstill in the process without us providing updated information even after the decision made very clear and on record to your JPMORGAN CHASE Attorney, so we provided it. Number one, we were approved for a 1% rate on earlier agreements that a JPMORGAN CHASE Employee chose not to honor for unjustified and unexplained reasons. Now it has quadrupled to 4.1%. Number two, your JPMORGAN CHASE Employee’s closed our account and refused to accept payments for a problem caused by a JPMORGAN CHASE Employee who put our original payment in the wrong account. So the question is: Why are we being expected to pay all these ‘Unpaid Amounts’? The unpaid principle balance before a JPMORGAN CHASE Employee made an Error by mishandling our payment was around $74,077.55 on the most recent Loan Modification Agreement from JPMORGAN CHASE the new unpaid principal balance is $112,916.99, you do the math. To sum this up a JPMORGAN CHASE Employee made a mistake and caused our account to be placed in default and now we are expected to pay you for your mishandling of our account. How is that right. How would you feel if this happened to you or someone you love? At least you can give your JPMORGAN CHASE Employee’s credit for being consistent; the phone calls, usually twice a week sometimes daily, the inability to keep documents in their proper place, and their ability to recite your policies over and over without hearing a word, that your customer is saying. Now we admit there have been times when our patience was tested and our mood was dark with frustration and we may have spoken harshly to some of your JPMORGAN CHASE Employee’s. We do apologize for our lapse of self-control during these conversations. We are both Disabled Senior Citizens and we have been trying to get an answer to our questions of why we are being penalized over and over again for a mistake made by a JPMORGAN CHASE Employee that resulted in the chain of events that lead us here to this point in time. We started asking these questions before we were senior citizens. Let us give you a window into what our lives have been like during the time we have spent dealing with a great number of JPMORGAN CHASE Employee’s over the past few years. In all fairness not every single JPMORGAN CHASE Employee we have dealt with in person or on the phone has been difficult to deal with. Once in a while we had a JPMORGAN CHASE Employee who could sympathize with our frustration and actually give us some hope that things would get resolved. Over the past five years we have lost loved ones, we have dealt with life threatening illness’s and situations. We have gone through vital organ transplants not once but twice as well as a third surgery to fix a complication. That process was extremely difficult to accomplish because of overall health, the necessary tests required to determine if there were any red flags, like high levels of stress as a contributing factor in the overall health assessment. The screening process is extreme after all there are a lot more people who need an organ then there are organs available. Dealing with the process of getting qualified to be a candidate for a liver transplant is less stressful that qualifying for a Loan Modification with a JPMORGAN CHASE Employee. This ordeal has been most stressful on Mary Lou. She has survived a cerebral hemorrhage and dealt with the impact of that on her physically and emotionally. Stress causes high blood pressure and high blood pressure causes stroke’s. This incident with JPMORGAN CHASE has taken its toll on her and continues to cause her concern. We hope you make the right decision and modify this new agreement to a 1% interest rate on a 20 year note in the amount of $74,077.55 unpaid principal balance. We think that this information should give you the JPMORGAN CHASE Executives a general idea of how your JPMORGAN CHASE Employee’s provide Customer Service. We would suggest that you take all those recorded conversations that we have had with your JPMORGAN CHASE Employee’s and put them to good use in your JPMORGAN CHASE Employee training curriculum. Deliberate “stonewalling” of the HAMP data collection process to effect foreclosures. “Gaming” the HAMP guidelines to further delay and deny qualified applicants a HAMP modification, thereby effecting foreclosures. Violated HAMP guidelines to apply excessive new loan balance amounts. Violated HAMP guidelines by filing for foreclosure during the HAMP process, which is a violation of the HAMP Federal guidelines, resulting in foreclosure. Violated the “Truth in lending” Act (reg Z) as part of their institutionalized HAMP processing fraud. I believe that a thorough investigation of Chase activities will clearly show a pattern of intent to defraud which resulted in wide scale wrongful foreclosures and fraudulent application of mortgage fees/penalties. Moreover, and most importantly, investigation and prosecution under the RICO ACT will effect the necessary adjudication of Federal “white collar” criminal law. Chase is a joke, we have been in modification after a trial 3 months of payments for 2 years! Chase told us here in Florida to hold 3 months of payments and lost our paper work a few times? I lost my job and crashed my motorcycle and asked about a loan mod. We have them on TAPE and letters telling us to hold payments ! We want to sue Chase ! After 90 days we looked at property site online and found a foreclosure filed with the court. We had to reply in 20 days to the court. On day 19 I had to get a 10.75% new loan to save this place. Now we just lost again on this loan with another Loan Shark bank that will not give us a loan mod! My wife now has cancer and we are going to be placed on the street because of CHASE! What can we do to try and Sue Chase to get our money back ?This has cost us our home of 20 years and might cost my wife her life! Thanks. They put my home in foreclosure with no notice to me. I found out when trying to make my payment after missing recommended payments to qualify for modification. The paper work was delayed. Resubmitted 7 times. They accumulated 18,000 dollars in fees during the paperwork process. I was only behind 1,500 before the paper work scam. I was told they would wave the fees after I showed proof the paper work was not delayed by me but didn’t do it. I’m in bankruptcy to save my home. I’m ruined. 18,000 from 1,500 dollars is criminal in my eyes. I have to pay the whole 18,000 to keep home. We went thru the same thing with Chase. They string you along making you think that they are modifying your mortgage all the while the mortgage is getting bigger and bigger then they put your home in foreclosure without letting you know. I We’ve had to retain several attorneys to fight with them. I feel they should be sued. The reason why these bank get away with so much is because they are not oversea by no government agency. They feel that they are above the law. They made our life hell. if a class action lawsuit should arise we want to be a part of it. 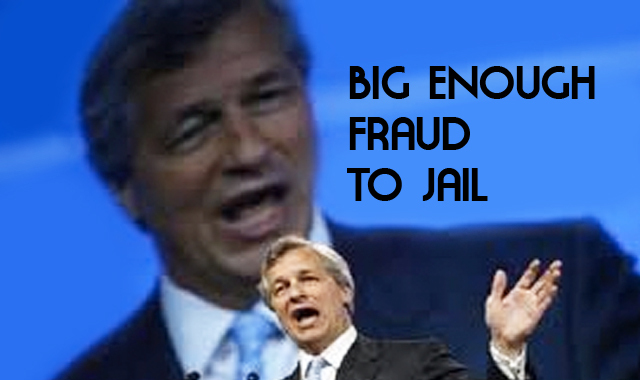 JP Morgan Chase, a case study in Liars that figure. This is a story that rivals the criminal activities of Enron’s Executives (“the smartest men in the room”) with one major difference, Enron’s victims were primarily investors, whereas Chases victims are vulnerable and financially distressed Chase customers. This includes US servicemen and their families and thousands of others facing foreclosure, with chase “gaming” the Obama MHAP program to steal from, and foreclose on, seniors seeking help from the federal program designed to provide financial relief. Chase says it will pay more than $2 million to about 4,000 service member mortgage holders that were overcharged in interest while they were on active duty. The bank’s decision is linked to a five-year legal battle with Marine Capt. Jonathan Rowles, an F/A-18D weapons system officer who sued after the institution continued to charge him 9 or 10 percent interest on his mortgage — a violation of the Service members Civil Relief Act — and threatened to take his home. . This is a story that will not be welcome or embraced by politicians influenced (if not corrupted) by big banking lobbyists. This is a story that can change the way elected officials will level the playing field for the most vulnerable of our citizens victimized by the US banking system. This is a story that needs to be pursued by the institutions that are chartered to challenge the criminal activities aimed at our most vulnerable and least protected citizens. This is a story that should culminate in the prosecution of responsible Chase management under the “RICO Act’. The Racketeer Influenced and Corrupt Organizations Act (commonly referred to as RICO Act or RICO) is a United States federal law that provides for extended criminal penalties and a civil cause of action for acts performed as part of an ongoing criminal organization. Under RICO, a person who is a member of an enterprise that has committed any two of 35 crimes—27 federal crimes and 8 state crimes—within a 10-year period can be charged with racketeering. Those found guilty of racketeering can be fined up to $25,000 and sentenced to 20 years in prison per racketeering count treble damages.Despite its harsh provisions, a RICO-related charge is considered easy to prove in court, as it focuses on patterns of behavior as opposed to criminal acts. On March 29, 1989, financier Michael Milken was indicted on 98 counts of racketeering and fraud relating to an investigation into insider trading and other offenses. Milken was accused of using a wide-ranging network of contacts to manipulate stock and bond prices. It was one of the first occasions that a RICO indictment was brought against an individual with no ties to organized crime. Milken pled guilty to six lesser offenses rather than face spending the rest of his life in prison.On September 7, 1988, Milken’s employer, Drexel Burnham Lambert, was also threatened with a RICO indictment under the legal doctrine that corporations are responsible for their employees’ crimes. Where are the “protectors’ of our most vunerable? Robert Barry Hall, just another victim of “Liars that figure”. Chase was doing a home modification with us… Now they are taking our home, If only they had just let us make one late payment after the hurricane, and not offered us the modification, everything would be just fine. Hi,I live near Daytona Beach Fla . I was told by Chase that they would give me a Loan Mod. No problem! They said just hold your payments for 90 days! I did as told and I found on county records the filed on me! I have recordings and letters of them saying to do this. Now I am in a 10.5% loan I am close to losing my home. I am disabled and money is tight .What should I do? Michael – I do hope that you will follow this suit and keep us all apprised. We have ALL been foolishly led astray by this bast*** bank! Finally reached court! The pattern of all those “misrepresentations” will emerge as bank policy now that there are complaints from all over the country, not just Florida. We soon found our mortgage was twice as much as before we applied for HAMP and began the trial period. If we’d sold our house in 2009, we’d have been mcu better off financially than we were after spending all that time trying to get the HAMP. I don’t know if you are old enough to remember those famous magazine adds depicting a young and puny Charles Atlas having sand kicked in his face by those nasty beach bullies, but I do. Well Mr. Obama, President of the largest and most powerful government ever, and Mr. Joe Biden and I are having sand kicked in our faces by the banking bullies. Simultaneously they are writing those infamous bonus checks to themselves and their merry band of exececutive bandits. I am referring to the scandal outlined in the. NY Times article November 29, 2009, (byline Peter S. Goodman), on the sorry state of affairs with the stalled Obama “Making Homes Affordable” program. At that writing only 2000 of the more than 500,000 applications submitted under the program had actually resulted in permanent loan modifications. I recall during your campaign run you referred to Joe Biden as (as best as I can recall) your “enforcer” and those misguided enough not do the right thing will answer to him. Ask Joe if he and Secretary Geithner really can see what is going on with all that sand in their eyes. You may chuckle at this analogy, but humor is not my intention, this is a national disgrace which leaves me angry and disgusted with our government’s inability to use their executive power as promised to taxpayers. If you have not read the NY Times article I ask that you do. Here s an extract from that article: “Some lawyers who defend homeowners against foreclosure assert that mortgage companies are merely stalling, using trial loan modifications as an opportunity to extract a few more dollars from borrowers who would otherwise make no payments. I don’t think they ever intended to do permanent loan modifications, said Margery Golant, a Florida lawyer who previously worked for a major mortgage company, Oewen Financial, It’s a shell game that they’re playing”. The present estimate from law firms that track this info is: my mortgage holder, Chase, is sitting on 25 billion taxpayers dollars intended for mortgage relief! Where are the interest accruals going from these funds withheld from loan applicants by virtue of Chases shell game? Just recently Chase Home Mortgage has added a new phone response option…select three if your application has been pending over one year! If things continue as they are, Chase will run out of selections for us to push. The time for rhetoric and jawboning is long past. This is not a partisan issue, although I would suspect many would attempt to use the situation as another opportunity to muddle the issue for political advantage. It is a mockery of our government’s serious and well-intended efforts to stem the tide of foreclosures and to help stabilize a traumatized housing market. One wonders how many congressional members have “mortgaged” their influence and allegiance to the big banks and their lobbyists. What else could possibly explain the banking bullies swagger and apparent total disdain for your MHA program? The fact that so many of our elected “representatives” no longer represent the electorate, is most likely at the core of serious erosion of our democratic process, but far beyond the scope of this single issue. If a broad based class action suit is necessary to get your administrations attention to correct this problem it will not bode well for the historically low confidence level voters have in their polarized congressional representatives. I voted for you Mr. President, and continue to have hope for your administration and your overall strategies to right the serious listing of our ship of state. This letter to you is my sincere intention to help focus on a situation that demands immediate action. My husband and I were in a loan modification for 2 years before he passed. After he passed I continued with the process of submitting and resubmitting, as many of you know for various reasons they would give. I notified Chase Bank of my husbands passing and they said I qualified now more than ever. I believe I did at least 3 more submissions during the next year or so until one of my rep’s ( I had about 17 different in total) told me I was not getting an answer as I should be working with the Assumption Department as I needed to assume as well as modify ( my name is on the deed but not the mortgage ) It is too long of a story working with them over the next 1& 1/2 years trying to shorten it I could never speak to anyone in assumptions , nor did I ever get an assumptions packet as promised I did eventually through much persistence find out there was/is no Assumptions Department this took 8 months of non stop calling and promises from reps as well as higher ups. One day about two weeks or so after I sent another new loan modification I received a call from a new rep telling me I had to resubmit yet again !! to his department I explained my 3 1/2 years of frustration and he was very reassuring that this time things would be much different he told me prior to about a week ago there was no Assumption Dept , no place for people like me who needed to assume as well as modify but now there is it is with him in the newly formed LAMP Program created for those like me. I was so bewildered and upset . I did as he asked resubmitted and the game of Chase continued It would take me 3 days to type all of what has gone on with my Loan Mod hell from Chase . I have spent SEVEN YEARS NOW jumping through there hoops and been had by THREE Atty’s. I am tiring of this war of attrition with the banks as they sold it 2 years ago to M&T /Bayview Servicing and my experience has been yet no different. PLEASE DOES anyone know of an attorney who is honest that may be able to help me . I have two young children and my elderly parents that live with me in our home, my older son is now fighting a late stage cancer and I am exhausted from this UNJUST battle. I am able to make the mortgage payment but as of yet I can not as they will not except it from me !!!! Please Help. If anyone has any hope please e mail me or call.